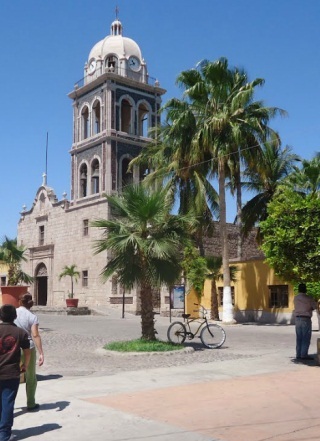 Loreto is one of the oldest settlements in the Baja California, and maybe best kept secrets. The ambiance takes one back to the legends and colonial splendor of Baja California and the Sea of Cortez, with its crystal blue waters and sea life that invites underwater exploration. Today Loreto hosts world-class sport fishing, sailing, kayaking, diving, horseback riding, mountain biking. 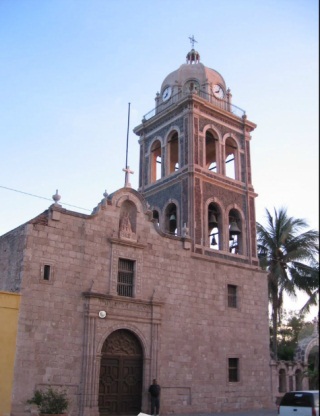 Tour the restored Mission of San Javier high up in the mountains behind Loreto. Visit the ruins of Mission of San Bruno, (the first mission in Baja California). Visit Jesuit Missions Museum or see cave paintings from indigenous groups. Or just soak up the year round temperatures averaging in the 80's on a beach. The first capital of the Californias the city has all services, hotels, RV parks, the airport has daily scheduled air service from Los Angeles. Despite all of the services it only has a population of, 14,724, (2010 census). 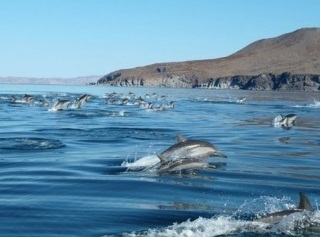 The biggest industry apart from hosting cruise ships and other vacationers is provided by the Sea of Cortez abundant sea life. Loreto diving is characterized by some of the best island diving found in the Sea of Cortez, With 300 sunny days a year, clear waters with visibility ranges from 30 to 60 feet in colder months and 50 to 120 feet in warmer months, The islands, volcanic in nature, have rocky shore lines and dynamic sheer walls and huge underwater rock structures, with finger reefs of rock and coral. The waters are diverse in the varieties of species and full of life. The legendary Baja 1000 takes place from Nov 12th through Nov 16th 2014. The 46th running of the race is from Ensenada to La Paz; through Santa Catarina, Llano Colorado, San Quintin, Cocos Corner, San Ignacio, Canipole, Puerto Lopez, and into La Paz, for a course distance of 1,130 miles. Loreto is near the 950 mile mark of the race, vehicles will be passing nearby about a day after they have started the race in Ensenada. That places Motorcycles in Loreto in the morning and larger vehicles near noon. The race is one of the world best know off road races; creating one of the events of the year for both people on the course and in the off road racing community. The Score International 2014 series has coverage by CBS Sports Network in the US. 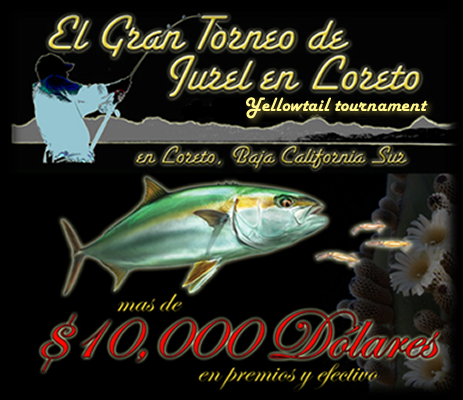 Tides going in and out of the Sea of Cortez result in water temperatures which fish follow from La Paz to Loreto and bring with it the fish that are common to La Paz. Here is a first person report of Marlin caught 5 miles out of Loreto. Marlin prefer a water temperature range of 70 - 86 degrees and show up through the summer months. A boat ramp is located just down the road from Hotel Tripui. 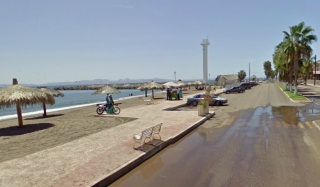 "El Camino Real" translated to, The Kings Highway, begins in Loreto. Spanish word camino actually means "path," but in this context it means any road built for the King. Built during the Jesuit period (1697-1768) from Loreto to San Borja; Through 1834 El Camino Real was built all the way to San Francisco California by Spanish missionaries. Loreto has been hosting a yearly rally of more than 300 bikers since the 2009 as they ride from Los Cabos to Loreto. The 2014 rally takes place Mar. 13th to the 14th. Loreto will be hosting part of the legendary Mexican 1000 off road race from Ensenada to Cabo. Motorcycles and off road vehicles will be stopping in Loreto briefly as they prepare for the next two legs of the international off road competition which is called the "happiest race on earth." Visitors will be able to see many of the world's legends of off road racing. Bikes will be arriving from San Ignacio, and cars from Bahia de Los Angeles, for safety the bikes started the race first.